This is the last of a short series of related posts on rational Varroa control. It brings together the key points made on the choice of how and when to treat, coupled with a treatment strategy that minimises the influence of bees drifting between colonies. The latter is best summarised in three words … coordinated Varroa treatment. Most beekeepers treat their own colonies together … it’s logical, easier and cost effective. But what about the other beekeepers in the shared association apiary? What about the colonies two gardens away? What about the large row of colonies in the bottom of the adjacent field? 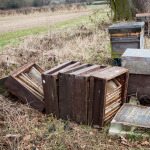 What about that abandoned hive in the hedgerow over the road? What about the feral colony in the church tower? All of these are a potential source of reinfestation. After a week or two of miticide treatment your own colonies are likely to be largely free of phoretic mites … but all those nearby untreated (or yet to be treated, or ineffectively treated … or just plain forgotten) colonies can act as a source of mites and viruses from drifting workers and drones. These will infest and infect your colonies. 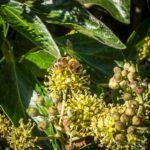 Robbing bees – not the maelstrom of foragers ripping a colony apart that most beekeepers would recognise, but the silent robbing that can occur largely unseen and unsuspected in many apiaries – will bring a smorgasbord of virus-loaded mites and workers to your recently-treated hives. Remember also, your colonies may well be robbing other untreated, mite-infested colonies nearby. If all colonies ‘within range’ (see below) were treated at the same time these bee behaviours (drifting, robbing) that cannot be altered would have far less impact in transferring mites and viruses. Coordinated Varroa treatment – over a wide geographic area – hasn’t been widely investigated in the UK. In Europe there have been a number of coordinated treatment trials, for example in isolated mountain valleys, where the geography provides a barrier to bee movement. Due to the unregulated and often undocumented nature of beekeeping in the UK it may well be more difficult to organise effectively. However, this isn’t a reason coordinated Varroa treatment shouldn’t be attempted. There are precedents in the salmon farming industry where all cages within a single water catchment area must be coordinately treated – both in terms of time and (I believe) the compound(s) used for controlling sea lice. This isn’t voluntary because it’s been shown to be effective. Drifting of foragers and robbing etc. are distance-dependent activities. The more widely separated colonies are, the less likely they are to be an issue. This was amply demonstrated in the recent comments by Tom Seeley that feral colonies hived and co-located in apiaries succumbed to mite-transmitted virus infections, whereas those sited – individually – at least 30 metres apart had lower mite counts and survived better (Sharashkin, L , ABJ 156:157). So perhaps all colonies within 30 metres should be treated together? Clearly this is too low a limit. Firstly, we know bees can travel much further and the studies described by Seeley didn’t test whether colonies survived even better if spaced even further apart. Secondly, the feral colonies Seeley studies are naturally located approximately half a mile apart from each other. Whilst this is undoubtedly influenced by the availability of hollow trees it suggests that the range could usefully be extended to at least half a mile. I’ve certainly seen robbing occurring between colonies located at least 500 metres apart. Since the effective limit over which re-infestation might occur isn’t known it perhaps make sense to throw the net a little more widely … a mile for example? 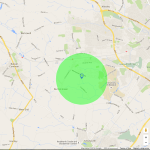 This is a convenient distance … covering most beekeepers within a small village in a rural area, those sharing adjacent fields in farmland or perhaps a number of urban apiaries. It’s also a manageably small area, where personal contact and friendly agreement should be sufficient to coordinate treatment. Do you know the location of all of the colonies within a mile of your own? Google maps can help. So can local association membership, or simply accosting people you see wearing a beesuit. I knew of ~20 hives belonging to 4-5 beekeepers within a mile of my previous home apiary. Of course, with any sort of migratory beekeeping – bringing colonies back from the heather, taking them to orchards – or simply moving nucs from a split colony to a new apiary, there’s a possibility of colonies with low mite levels getting exposed to colonies with a high level of infestation. For proper coordinated treatment these movements would have to be taken account of. In our bee virus research we’re investigating the benefits of large scale coordinated Varroa treatment by working with all the beekeepers on a large island, where the sea provides a natural barrier to mites entering the test area. Over the next three years we will see how mites, and more importantly the viruses they transmit, are controlled by coordinating Varroa treatment within this defined area. Coordinated Varroa treatment helps mitigate the effects of drifting and robbing between colonies, activities that are usually underestimated and that are known to transmit mites and (inevitably) viruses and other pathogens. This isn’t rocket science. It’s a logical response to the biology of bees and the pathogens that they carry. Avoid using pyrethroid-based miticides if there’s any evidence of resistance. Just because you get a high mite drop with Apistan doesn’t mean there isn’t an even larger resistant population left infesting your colony¹ … there are ways of checking this, perhaps you should? Be aware that some miticides stop the queen from laying. Perhaps try and avoid these when you’re dependent on the colony raising the all-important winter bees that are going to get it through to the following Spring. I don’t actually know how much of an issue this is for colony health and survival, but it always concerned me when the queen went on a go-slow at the very time I wanted her to keep laying strongly through late August/early September. 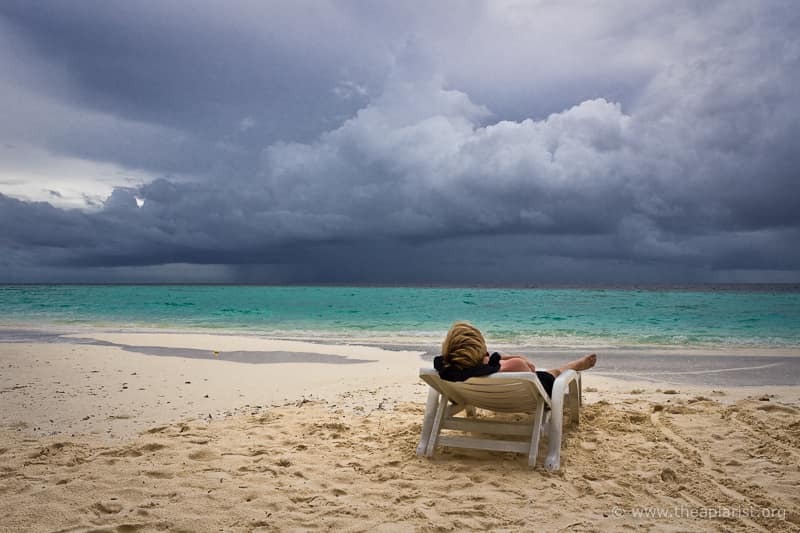 Don’t reduce treatment doses or times … partial treatments are partially effective. This is also a great way to select for miticide-resistant Varroa (though whether they arise depends upon the mechanism of action – resistance to oxalic acid, formic acid and thymol has not been observed). Earlier than you perhaps think to protect the winter bees from viruses. When I lived in the Midlands I would treat immediately after taking the summer honey crop – perhaps mid/late August. 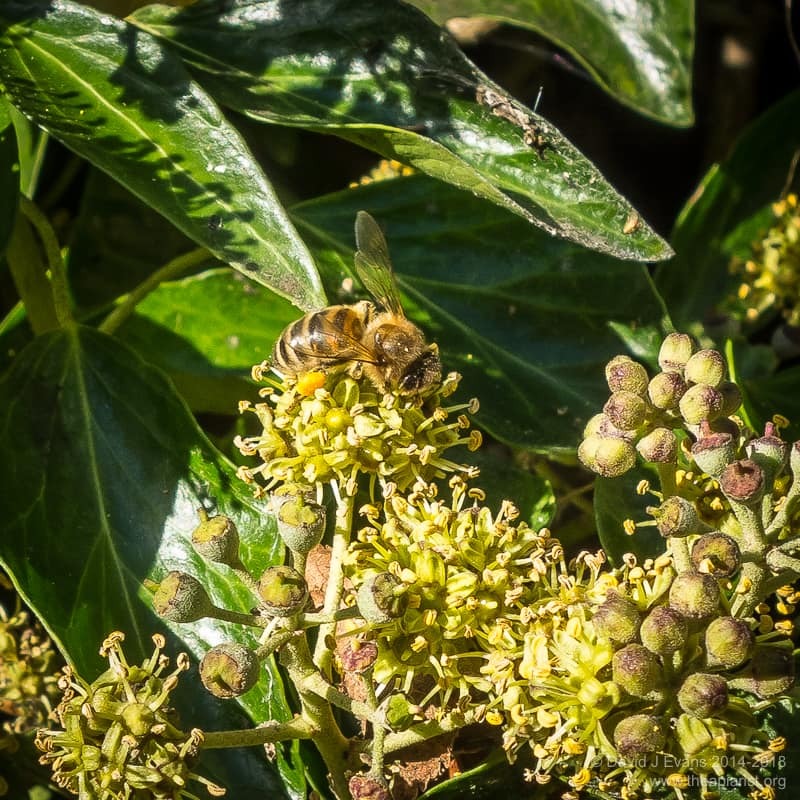 There’s later forage available – himalayan balsam and ivy – both of which some beekeepers either like or have a market for, but collecting it risks exposing the developing winter bees to high levels of Varroa and pathogenic viruses. Now I live in Scotland I’m going to have to develop alternative treatment schedules for colonies going to the heather – brood breaks and/or creative use of a vaporiser in June/July. These articles on Varroa control have focused almost exclusively on miticide treatment. There are also a range of beekeeping practices that can contribute significantly to effective Varroa control, reducing the necessity to treat with chemicals. These include enforced brood breaks, shook swarms, drone brood uncapping, queen trapping and others. A proper integrated pest management strategy involves both chemical and beekeeping interventions to prevent the build up of dangerously high mite levels in the colony. Some of these will be covered in more detail during the coming season. ¹I think there’d be a case to ban the sale and use of Apistan for three years out of every four … pyrethroid resistance in mites appears to be detrimental in the absence of selection i.e. resistance is lost if the miticide is not used for a few years. That way, when used it would be devastatingly effective. This compares to the current situation where Apistan resistance is very widespread, and constantly selected for by continuing use of pyrethroids. 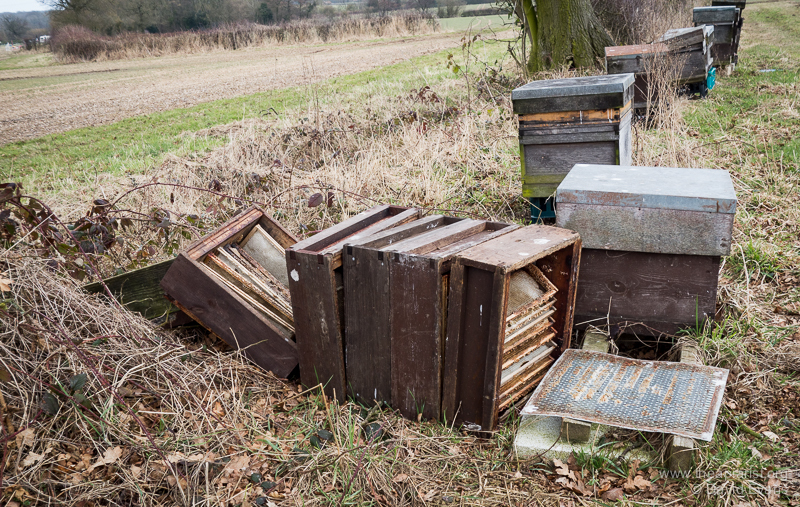 Of course, there’s no way to enforce this – despite the fact it would probably be a great benefit for bee health – but now we’re back to the unregulated and undocumented nature of UK beekeeping. 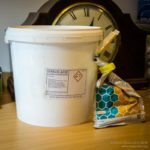 This entry was posted in Beekeeping, Varroa, Varroa control and tagged Api-Bioxal, Apiguard, Apistan, coordinated treatment, oxalic acid, vaporising, Varroa on February 12, 2016 by David. When you say oxalic acid is toxic to unsealed brood – will it result in all that brood dying? Or just a certain percentage? I’ve found it hard to find out much about this. I’m going to cover this sometime in the future though I don’t think there’s a complete answer to your question – presumably it depends how much unsealed brood is present. However, the Sussex group have recently published data to show that colonies treated with OA trickled are less strong in the Spring, a result previously published by Charriere and Imdorf in 2002. Usually this weakening is attributed to a toxic effect on adult bees, but it could also be due to killing unsealed brood. Have you managed to access the LASI study? If so, to what extent were the colonies less strong? It seems like we don’t really know whether this effect might be caused by a failure to kill all the varroa, a toxic effect on the adult bees or the loss of unsealed brood. The Charriere and Imdorf study you linked to doesn’t completely answer this either, saying “Under certain, undefinable, overwintering conditions, higher bee losses may occur through trickling treatment. This does not always apply”. I’m left wondering what’s worse, treating a colony with some brood present by trickling with oxalic acid or not treating at all. In the past LASI have recommended checking for brood and then destroying any before treating, which suggests that losing the brood is worth it in order to nuke all the mites. But if the subsequent weakening is actually caused by a toxic effect on adult bees, why is destroying all the brood top priority? There seem to be a lot of unanswered questions. The LASI study shows that efficacy of treatment is almost indistinguishable (if the dose is correct) between trickling or vaporisation – something like 93% or so. However, there was no significant differences between adult bee mortality during the 10 days they were analysed after treatment. However, like Charrier & Imdorf, colonies were ~15-20% stronger four months after treatment. They quantified colony strength in terms of brood frames – those with sealed/unsealed brood. Their untreated control colonies were about the same strength-wise to those treated by trickling. Colonies were broodless when treated. This suggests that the benefits of trickling to get rid of the mites are undermined by a detrimental long-term effect of trickled OA when compared with vaporisation … presumably due to a toxic effect on the adult bees or the queen. Of the two options – treating a colony with sealed brood or not treating at all – it’s a no-brainer. If it’s midwinter there’s only going to be a small amount of sealed brood, so the majority of the mites will be phoretic (there’s a recent German study that has some interesting data on this), therefore treating them will significantly reduce the mite population. Any unsealed brood might be damaged, but the sealed brood will presumably be OK (though the mites it contains will be as well). The weakening effect of trickling appears to have nothing to do with damaging the brood. The LASI recommendation to destroy sealed brood related to trickling OA. With vaporisation you can treat repeatedly with sealed brood present … there are additional questions about this, but it’s going to get clearer in the next 12 months I think. Thanks David. The latest London Beekeepers Association March newsletter contained a copy of an article which Prof. Francis Ratnieks and a colleague wrote for BeeFarmer magazine about the study (republished with his permission). As you say, their untreated control colonies were about the same strength-wise to those treated by trickling – 80% of the ten control colonies survived and 83% of the 30 trickled colonies survived and they had very similar amounts of brood. 95% of the 40 sublimated colonies survived and those colonies had significantly more brood. Incidentally the BeeFarmer article does recommend destroying sealed brood before vaporisation, not just before trickling. Thanks Emily … you can now access the full text of the paper from the Sussex group online. Some questions still remain about the timing of Varroa treatment (by vaporisation), in particular the efficacy when used during the season when brood is present. Nevertheless, with the exception of the problems encountered when using Api-Bioxal, the scientific evidence looks very promising and reflects the positive experience of beekeepers who have been using it for some time. I’m presuming you mean formic acid Calum … folic acid (at least here in the UK) or folate is a vitamin given to pregnant mothers C19H19N7O6. Formic acid is HCOOH … the active ingredient in MAQS. 3 months of treatment is a long time … how well does the queen keep laying during treatment? I’d prefer a quicker treatment by OA vaporisation, but perhaps there are regulations in Germany that don’t allow it to be used?